We stepped back from the squeaking window and stood very still in the dark and waited. Wooly turned around and lay back down in his bed and Whiskers did the same on her bed. She turned round and lay back down. It was quiet and dark out there once again. We watched the heavy snowflakes gently fall past the street light for a few moments then we pulled down the shade behind mama’s lace curtains. It was indeed going to be a lot to think about. My brother had a smug look on his face and Nancy asked for the tenth time if Santa had missed us. “No, Santa didn’t miss us.” dad said. The magic of Christmas was all around us that night and although I hadn’t quite figured it all out and wouldn’t for some time to come, I had to agree. 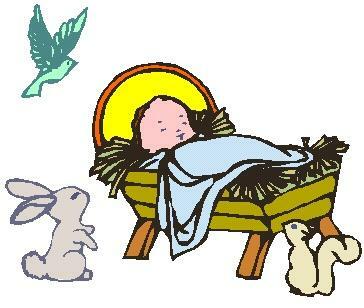 It was indeed a magical night when the animals stood to pay homage to the Christ Child and this time I was there to see.